2015 was a rough year for us. We lost our baby girl at the end of 2014 three weeks after we moved into our new home. It's been emotional, painful and tough as well as busy. It's definitely had an effect on the way we eat - more comfort food and junk food for us and more convenience food for the kids. But it's a new year. A fresh start and a new beginning. We're much brighter in ourselves as we've come into 2016 and we've done lots of work on the house including a new kitchen/dining room. It's time to get back to eating well again. I was delighted when Organix asked me to be a 'No Junk Mum' and join their 'No Junk Journey' this year. The aim of the campaign in a nut shell is to help parents make healthy food choices for their kids. The accountability of being part of the campaign will definitely help us to eat better as a family. The timing could not be better. I hope you will enjoy sharing our No Junk Journey along the way. Organix recently commissioned a study Engineering taste - is this the future of our children's food? by Greg Tucker, Taste Psychologist, and Professor Andy Taylor from the University of Nottingham Food Science Department. They asked me to have a read through and share my thoughts. Reading the study was a real wake up call and made me realise I have to make some serious changes to our diet. Please don't get me wrong, I'm not saying there's anything wrong with the odd sweet treat or take away - it's about making engineered food, i.e. convenience food, the exception rather than the rule. I decided to make a video of Joshua, my 7 year old, to see knew the difference between engineered and real foods. The results were suprising! He's been shopping and cooking with me since he was tiny and generally prefers healthy food. However, he thought fish fingers were 'real' food over fish fillet. He also thought strawberry yoghurt was real becuase it had a picture of a strawberry on it! Thankfully, he knew that chickens have bones but he definitely prefer nuggets to the real thing and he's not alone! 66% of kids prefer nuggets to chicken breast according to the study, and 81% would choose fish fingers over a fillet of fish. Part of me thinks they're just kids and they will grow out of it, but part of me worries that children are growing up without an appreciation of what foods taste like or looks like in it's natural form. Overall, the study revealed some rather worrying findings regarding the effect of engineered food on children's taste buds and eating habits. I've explained some of the highlight below, but I would definitely recommend having a good read of the full report especially if you're a parent. As obvious as it sounds, convenience food is not real food. Mums are busy and need meals which are quick and easy to prepare, but these convenience or engineered foods are not a true representation of the real food they are trying to emulate. Over-seasoned chicken nuggets hardly taste like real chicken breast and super-sweet, highly-flavoured strawberry yoghurt is a far cry from a strawberry. These engineered foods provide "instant taste gratification" and are causing a shift in children’s palates. In summary, kids are losing appreciation for ‘real’ food. The study found that there are children who believed that chickens do not have bones or skin and that apples don’t have cores - much to the surprise of their parents. 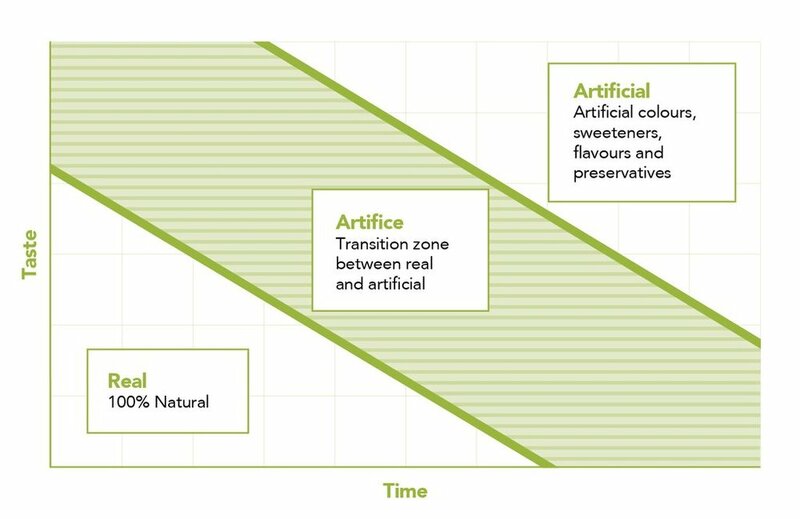 The study found the lines are blurring between real and artificial, creating a new space, the ‘zone of artifice’ which you can see on the graph below. I found this really shocking. Engineered foods are easy to eat and deliver instant flavour but they are disingenuously delivered. In some cases natural ingredients are being used inappropriately, for example carrot juice in strawberry yoghurt to give it's appealing bright colour. The claim on the front of the pack states 'natural colours' - but carrot juice in yogurt? It's just plain unnecessary and misleading. The food is being engineered to enhance the eating experience – the flavour, texture, colour and appeal. Kids grow up thinking food is really like this, but it's not. They lose appreciation of what real food is and become fussy adults. Yikes. Parents are busier than ever. With the average family having just 15 minutes to prepare a meal convenience food is more in demand than ever before. But people still want healthy choices. The study showed that 72% of mums are more likely to buy something if it says 'real' or 'natural' and 63% think food is healthier if the label says it’s ‘real’ or ‘natural’ but these claims are misleading. Here's a good example. One brand of chicken nuggets claimed to be "made with 100% chicken breast guaranteed” when in fact the ingredients show there is only 51% chicken breast and a total of 14 different ingredients. 49% of the nugget is not meat but breadcrumbs. It's hugely misleading, and not good value, but the food industry are not breaking the law. The study found it's increasingly hard for parents to make good food choices, and they are increasingly angry about what they see as the ‘deceit and lies’ perpetrated by the food industry. 76% of mums in the study want the food industry to take more responsibility for this. Berevement has defintely caused us to slip into the zone of artifice further than I care to be and this is the year to change that. Still, I can't help but feel conned by manufacturers who have led me to believe I have been making healthy choices for my kids while rushing down the freezer aisle when I clearly haven't. Know what’s in the food you feed your family. Don’t be lured by front-of-pack flashes such as "real" or "natural" which can actually mean very little when there is a long list of complicated ingredients in the small-print on the back. If you have the time, try to take a closer look at back of pack ingredients and the nutritional information. Go for fewer ingredients - if there are too many ingredients, or ones you don’t recognise, then the more additives there are likely to be. Look for ingredients that you recognise, that would appear in a recipe, or that you might find at home. Avoid colourings, artificial sweeteners, starches or thickeners, preservatives, flavour enhancers and flavourings. 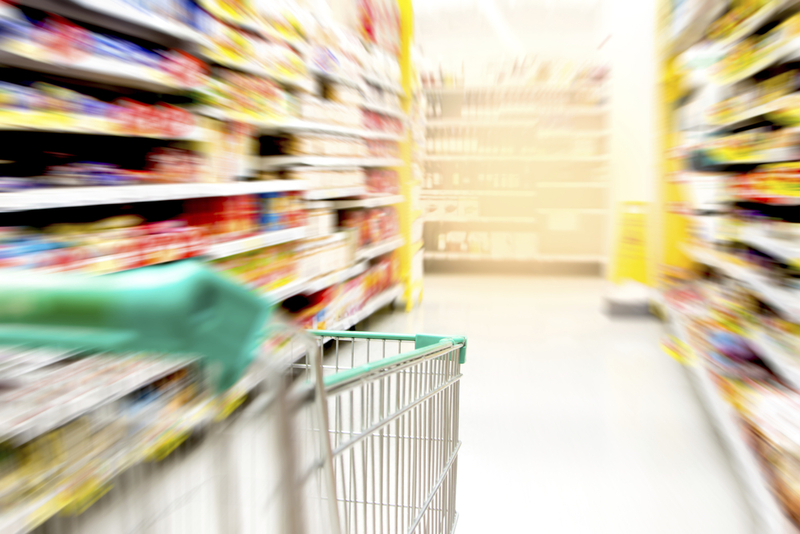 Are you concerned about the quality of convenience food marketed towards children? How much time do you spend reading labels? Do your children prefer fish fingers and chicken nuggets over the real thing? Does that bother you if they do or do you just think they will grow out of it? I'd love to know what you think! Please leave a comment! Have a dig in your cupboards. Read the labels on the back of products claiming to be 'natural' or 'real' or 'healthy' - you might be surprised. Tweet a picture to @organixbrands using hashtag #OrganixTaste - I'll be doing this over the next few weeks. Follow me on twitter @GourmetMum if you're interested in my findings. Disclosure: This is the first in a series of sponsored posts for Organix. Opinions and video content are my own. All images used with permission from Organix.